Looking for a home with tons of charm? Well you won't want to miss out on this beautiful home situated in the heart of the historic and Haynies Corner Arts districts. Upon entering, you will find a spacious living room that boasts beautiful flooring, a decorative gas stove with oak wood casing and stone surround, a gorgeous stained glass window, ceiling fan and is open to the kitchen. The kitchen features a breakfast bar, high end stainless steel appliances including a 5 burner gas stove and an eat-in dining area. The main level master suite has carpet, a ceiling fan and his and hers closets. The mater bathroom has a large vanity, tub and shower combo and tiled flooring. Upstairs you will find 2 more large bedrooms with original hardwood floors and another full bathroom. 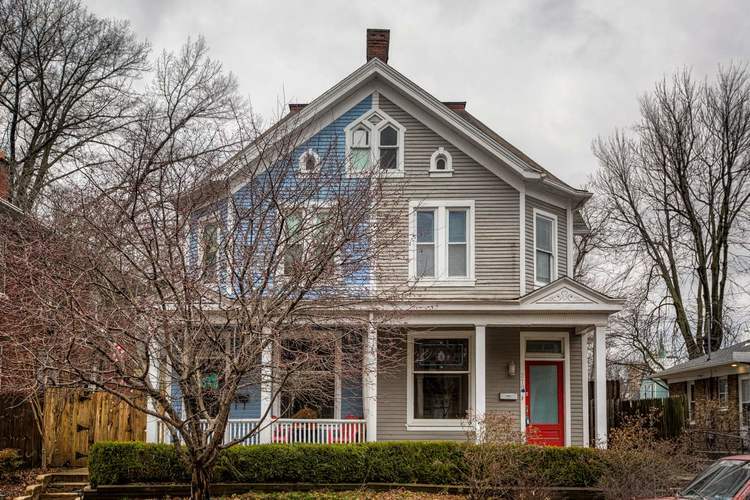 This home has the original hardwood floors, pocket door, stained glass and woodwork. 1 of the bedrooms has a beautiful rook-wood decorative fireplace. On the 3rd floor there is a partially finished walk up attic that could be finished and used as additional living space. This home also features a partially unfinished basement. Step out back to the private back yard with an open patio to entertain and a 2 car detached garage. Directions:South on Green River Rd, West on to Washington Ave., turn right on to SE Second turn Right on to Oak St.